Boris Westphal heads Suntrace as Managing Director and founder since July 2009. Prior to that, Boris directed the Concentrating Solar Power Division of Epuron GmbH, a subsidiary of German stock-listed Conergy AG for over two years. He was responsible for an international team of 20 solar thermal professionals who developed CSP projects with an overall capacity of over 350 MW. Prior to his experience with Conergy Group, Boris worked as Financial Director of Germany’s largest Independent Power Producer STEAG AG (today Evonik STEAG GmbH). Can you tell us about Suntrace, its services and operations? Suntrace was established in 2009 as an advisory, development and investment company with a focus on Concentrating Solar Power (CSP). Suntrace uniquely combines leading solar resource know how and in-depth thermal power engineering with professional investment and financing expertise. A team of committed professionals provides essential knowledge and skills to develop large scale CSP projects. Suntrace provides assistance to customers who want to professionally develop their CSP projects from greenfield to full realisation. Even under the turbulent circumstances of the international financial markets and shake-up of Spanish Renewable Energy regulations, our team managed to finalise and successfully place 100 MW of CSP project developments to established CSP market players. In 2010, Suntrace has been awarded with international CSP-related mandates from reputable industrial players such as Evonik, Ferrostaal, German Aerospace Agency, Novatec-Biosol and Siemens. On association level, Suntrace is member of ESTELA, the European Solar Thermal Electricity Association and is also actively contributing to the International Energy Agency (IEA) SolarPACES program as representative in the ExCo, leading the task for Solar Resource Knowledge Management. Which are the major countries where you provide your services? Suntrace has a global approach, reaching from the established solar markets in Europe (Spain as most mature CSP market in particular) to the emerging markets of CSP. We are headquartered in Hamburg, Germany, where we host the core competencies and coordinate our global activities. Once work on the ground picks up sufficiently, we build up regional offices and resources. Currently we are developing a major solar power project in Greece and have freshly opened branch offices in Spain and India. Further potential solar markets are under evaluation. With Spain, we cover the “reference market and industry” for CSP, while with India we are present in the most active emerging CSP market, with all efforts on JNN Solar Mission. Besides CSP, we are also active in PV, with advisory work and own project development activities. One of our major advisory areas is the project assessment and development support. Currently the most urgently required advice is in the area of Direct Normal Irradiation (DNI) and the supply and operation of specialised measurement stations. In addition, our knowledge of the range of available technologies, their individual performance and the evaluation of technical maturity and feasibility of each of these from a project developers perspective is a very sought after competence. Customers appreciate that we are technology-neutral since we are not selling or pushing any particular equipment for construction. This ensures our objectivity in the evaluation of the different technologies and also the differences between the different suppliers of the same technology. Is there any particular type of solar thermal technology that you would recommend, in terms of feasibility and operations? What factors does it depend on? Suntrace favours what we call a “technology–neutral” approach, independent from a particular equipment manufacturer or utility. For the benefit of realizable projects however, we have a strong preference for robust, proven technology that delivers reliable energy yields over the long term. The technologies should also be acceptable to the banking and investment community, one of the main and often underestimated obstacles. In principle, Suntrace is closely following all technological, commercial and financial developments of the industry. Whereas parabolic trough is world market leader among installed plants today, other technologies such as Linear Fresnel or Tower are on the verge of becoming more widely acceptable by the financial community and thus have good perspectives to offer competitive solutions on a larger scale. Generally speaking, each project, each site and every customer has individual requirements that require a tailor-made solution. India has announced the National Solar Mission with major emphasis on Solar Thermal and an overall target of 22,000 MW by 2022. In the light on this, do you see opportunity in the Indian solar market? Due to the National Solar Mission, India is becoming Suntrace's most important market. We have established our presence in Delhi with Mr. Venkittu Sundaram as our representative for India. Mr. Sundaram has many years of experience in the renewable and energy industry and is highly regarded. The Suntrace expert for solar resource, Dr. Richard Meyer, has presented a paper during the CSP today conference in Delhi in September 7/8, 2010, which has hopefully provided insights on many of the related questions on the topic of irradiation. Suntrace has been awarded with first mandates from Indian customers to contribute with our knowledge in the solar resources field and we have received requests from many interested parties for support in project development. Suntrace has a clear interest to be part of the strong dynamics which India shows now with the solar mission. We will be happy being able to contribute with our experience in CSP from other markets to fuel a sustainable development of CSP in India. What is the overall extent of Solar Thermal projects in your region/Europe? 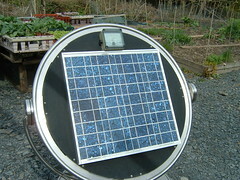 How much of it is going to expand, in your opinion, through solar thermal input? Spain will remain the key driver for CSP in Europe over the next years. In Spain, around 2500 MW of solar thermal plants will come on-grid until 2013, a further 4-5000MW are announced as part of the Renewable Energy targets until 2020. Other countries like Italy, Greece, France, Morocco, etc have Feed-in tariff systems in place and activities in these countries are picking up. The DESERTEC movement has resulted in the foundation of the Industrial Initiative Dii that aims to fuel the employment of CSP, PV and Wind technologies in the Middle East North Africa (MENA) region, with a focus on the desert area of the Northern Sahara. How has been the 2010 market for solar thermal so far, and what trends or opportunities do you expect in the coming months? 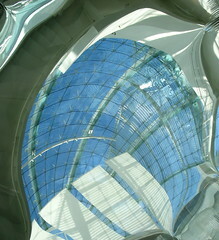 The solar thermal power market in Europe is experiencing several strong impacts in 2010. So far: in Spain, there has been a review and questioning of the feed-in tariff and review of the regulations for all renewable energy projects. This has led to severe confusion and frustration amongst the CSP industry. Banks as well as investors have discussed the reliability of cash flows from feed-in tariffs, if these, as in Spain, are repeatedly modified by the government shortly after its introduction, even considering a retroactive adjustment in some case. Second, the banking industry itself in Europe is still in bad shape and financing for large-scale projects is difficult to obtain for a young technology as CSP. Terms and conditions are unfavourable, a major obstacle to smaller developers and sponsors and a hurdle for financial investors such as funds. In the USA, there have been many project and technology developments in the last few years, but aside from Acciona’s Solar Nevada One nothing was built. Instead of straightforward feed-in tariffs, complex structures of national, regional and municipal incentives, combined with unclear political priorities and huge environmental concerns on comparatively “small” issues have hampered the employment significantly. At this point, it is still unclear if some of the projects which have advanced enough to seek funding will start construction in 2010. India is taking large steps with the National Solar Mission now. India has the solar resources for CSP, but also large industrial and financial potential to adapt reliable CSP technologies and customize them to local requirements. If further positive measures are implemented, this can pave the way to move India into a world leading position in Solar Thermal Power, not only in installed capacity, but also in export of technology. In your opinion, why has Solar Thermal not picked up as compared to Solar PV? What kind of policy initiatives/incentives do you think would reiterate interest in this sector of renewable energy? First: after no progress since the early nineties in the USA, CSP has been experiencing a renaissance since 2006, after Spain introduced attractive tariffs and everybody started to develop sites and technology. The industry as a whole is ten years behind the wind industry and at least five years behind PV in terms of capacities of production, prices and general acceptance. Main reason is that CSP is mainly applicable in large scale, which results in large but few projects. Budgets for full projects and also demonstration projects are comparably large, so the hurdles to realize small CSP projects have been too high. Wind and especially PV could learn much faster from realizing plenty of small projects. But it still seems that time has not arrived to accelerate the learning curve for CSP. Eventually, this shall lead to considerably reduced production costs with a strong potential to outperform levelized electricity costs of other renewable technologies. Second: closely related to the first- CSP equipment is far too expensive today, as still only a handful of suppliers meet high demand and interest. Increasing technological and commercial competition will help to reduce equipment prices and significantly boost commercial applications. Third: few countries have set clear, long-term predictable and viable incentives for CSP electricity. Developers and investors need a reliable investment environment, viable and predictable tariffs they can base their plans and projects on. To develop a CSP project can take two to three years. To build it takes another two years, before it operates and actually delivers cash flows. If you have no reliability in the commercial and legal environment, investments and financing will not happen. Fourth: the international project financing community is still in the “recuperating mode” from the financial crisis. Many project financing banks are no more active in this area, large loan syndications remain virtually inexistent, club deals with many banks is the main current solution in Europe. Terms and conditions such as maturities, leverage or margins are on the high end, if not unreasonable. In addition, many banks still need to become comfortable with CSP technologies they do not fully understand and trust, in Europe and the USA. India fortunately is not so much affected by the financial crisis and has domestic financing resources however lender’s familiarity with CSP may need a while to reach the comfort zone. Fifth: a transparent, clear and straightforward regulatory environment helps a lot to speed up project development. If you spend years in limbo working your way through unclear administrative processes or land issues, development will be risky and costly and not provide the expected quick results. With the JNNSM, good solar sites in the country and a strong national industry, India has a fair chance to become an attractive market for CSP. With the domestic industry, supported by existing CSP know-how from existing markets, India has a fair chance to become a strong competitor for CSP equipment on an international basis in a few years. However, Indian suppliers and developers should not underestimate the high requirements of quality of the solar measurement and equipment to achieve expected results and also to reach bankability, which will continue to be key to cover the giant amounts of investment volumes. Teaming up with experienced CSP companies can help leapfrogging to cutting-edge levels. Suntrace would be delighted to contribute in this evolution.